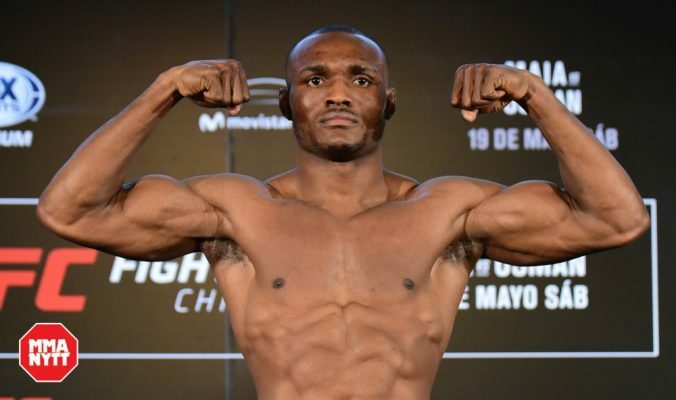 Kamaru Usman is one step closer to realizing his ultimate goal of becoming UFC welterweight champion after earning a dominant win over Rafael dos Anjos at ‘The Ultimate Fighter’ 28 Finale on Friday night. Usman used a powerful wrestling game coupled with a relentless pace that dos Anjos simply couldn’t keep up with over five rounds to get the job done. From the offset of the fight, Usman immediately began pressuring forward and looking to plant dos Anjos on the mat. Usman was constantly on the attack and that left dos Anjos playing defense for most of the fight. Even on the feet, Usman was willing to stand and trade with dos Anjos during certain moments in the fight as he showed no fear throwing punches with the former lightweight champion. As one round moved to the next, Usman seemed to gain even more control as he suffocated dos Anjos on the canvas and then just battered him with shots on the ground. By the end of the fight, Usman looked fresh and ready to go for another five rounds while dos Anjos was left with a face marked by blood and exhaustion as he just couldn’t find an answer to counter “The Nigerian Nightmare’ over 25 minutes. Usman ultimately won a unanimous decision and he wasted no time turning his attention to what comes next — namely a shot at the UFC welterweight title. “I said I’m a man on a mission. I got into this sport and I made a statement. I’m coming for that welterweight strap and tonight I hope I took a step closer towards that,” Usman said. Based on the current status of the welterweight division, all signs pointed towards Usman potentially getting the winner of the planned fight between current champion Tyron Woodley and No. 1 contender Colby Covington. After the event ended, however, UFC president Dana White seemed to hint that it might be possible that Usman could jump the line and faced Woodley instead. Right now White says nothing has been decided but obviously Usman impressed him quite a bit with his performance on Saturday night — enough to at least have him contemplating a new top contender in the welterweight division.